Many providers and coders are just getting into the ICD-10 groove, but staying there requires a little bit of ongoing training. For coders this means keeping up their certification. What many coders might not be aware of, however, is that time is running out. Most coders must complete a proficiency test or complete certain continuing education credits by Dec. 31, 2015. Otherwise they will lose their credentialing. 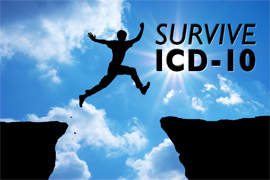 Providers need to do a little continuing education as well if they want to stay on top of ICD-10. “Every now and then you need to look to make sure you are using the most specific code,” suggested Barbie Hays, coding and compliance strategist for the American Academy of Family Physicians. You don’t want to fall into a rut of using the same codes when better ones are available. CMS is going easy on non-specific codes for the first 12 months of ICD-10, but next October will come before you know it. And private payers are expected to start tightening up sooner than that. At the moment, very few claims are being denied on the basis of diagnosis codes, but some experts have started to see a slight uptick in these denials. If you’re not already using the most appropriate codes available, make sure you start soon, even if that means an ICD-10 refresher course. Hays said she didn’t expect to see much in the way of significant policy changes from payers, but the codes themselves will be adjusted and refined on an ongoing basis. CMS will publish yearly updates to the ICD-10 codes—the flexibility to change as medical science and practice changes is part of the beauty of the new system. Keeping current and fluent in ICD-10 won’t take as much work as making the change in the first place, but it will take a little effort and attention.